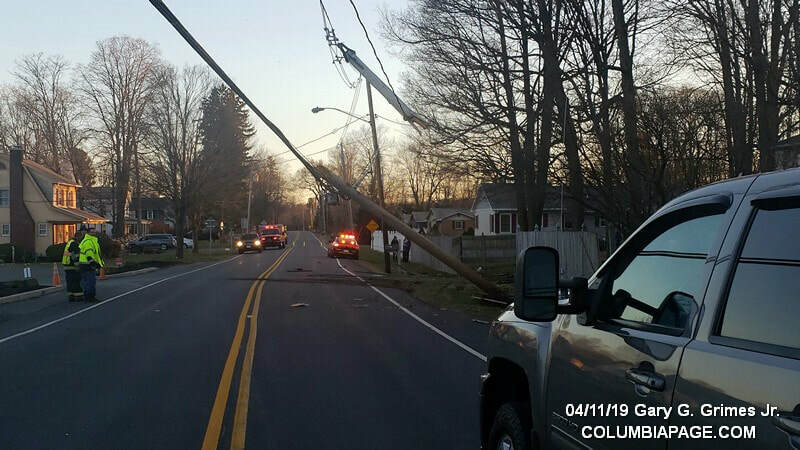 Columbia County 911 dispatched Valatie Firefighters at 6:21am for an AAPD with a utility pole and wires down. 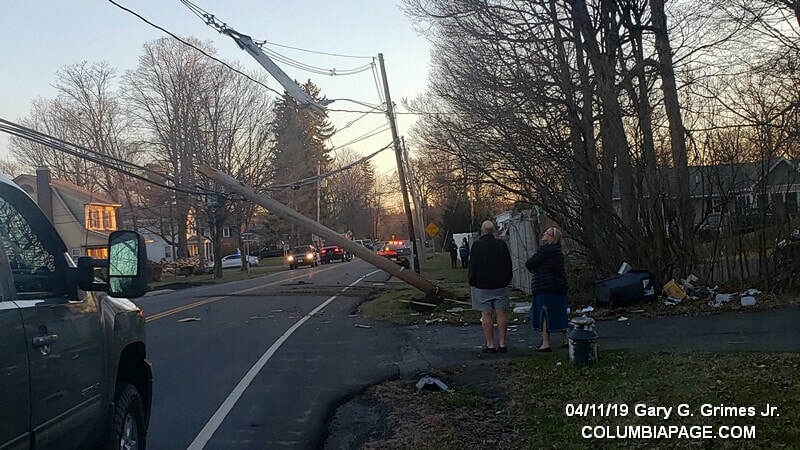 The accident was located at 4030 Chatham Street in the Village of Valatie. 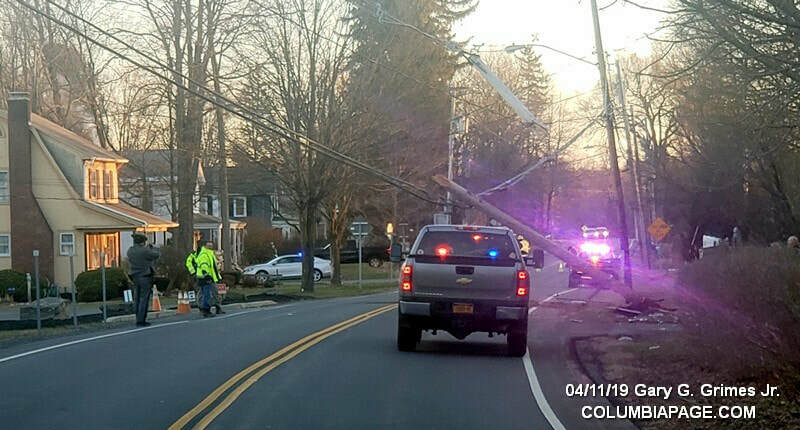 Kinderhook Firefighters were requested to the scene to assist with traffic control. National Grid and Consolidated Communications were requested to scene. The New York State :Police investigated. Firefighters were back in service at 8:39am.